We would like to introduce Lares Home Care’s Therapy Dog, Max. 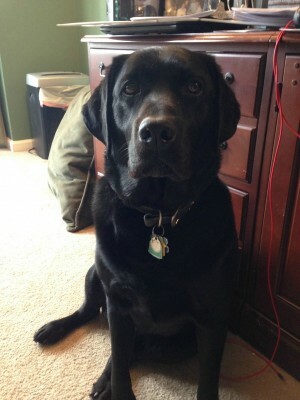 He is a four year old Labrador Retriever that trained with Bright and Beautiful Dog Therapy. Max is very friendly with a calm demeanor that helps brighten the day of anyone he comes in contact with on a our visits to the assisted living communities, skilled nursing facilities and hospitals. We believe that pet therapy helps in reducing day to day stress and works at healing emotional health. It’s a joy to see Max brighten the day of these residents, family members and staff. If you are interested in bringing happiness to your community or facility please contact us so we can arrange a visit and set up a schedule for frequent visits. We can be reached at 732-566-1112.